Huntsville Dance Company, Nicolay Dance Works, invites audiences on a holiday journey to the Land of the Sugar Plum Fairy in their upcoming production – A Wynne Home Nutcracker. 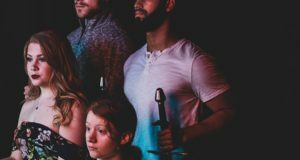 Bringing Christmas joy, fantasy and action to the Huntsville community, six performances will take place daily from Dec. 10 (Thursday) through Dec. 12 (Saturday). Featuring a magical blend of ballet dance, festive costumes and Tchaikovsky’s enchanting music, The Nutcracker is a holiday classic enjoyed by young and old alike. 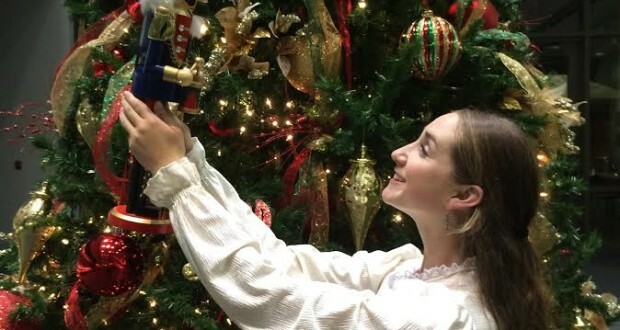 According to choreographer, Dana Nicolay, in the Wynne Home Nutcracker production, audiences will experience an intimate 1890s style holiday gathering within the surrounding beauty of a 19th-century mansion now known as The Wynne Home Arts Center. “Unlike the traditional setting of a performance space, in this unique production audiences will be surrounded by the dance rather than sitting outside the performance,” explained Nicolay. Moving throughout the historic home from room to room and even outdoors on the grounds of the Arts Center, audiences will partake in the magical world of the Nutcracker story, helping to trim the Stahlbaum family tree and witness the climactic battle of the Mouse King and Nutcracker. A total of 17 dancers representing Nicolay Dance Works along with additional SHSU dancers, will portray the enchanting, colorful characters that make up the Nutcracker holiday experience including the Stahlbaum family, Drosselmeyer, The Cavalier, Dancing Snowflakes, Sugar Plum Fairies, and many more. Six performances, approximately 40 minutes in length, will take place daily starting at 5:15 p.m. with the final performance each evening beginning at 9:00 p.m. Tickets are $10 and can be purchased in advance online at www.nicolaydanceworks.com. Info and photo provided by SHSU.